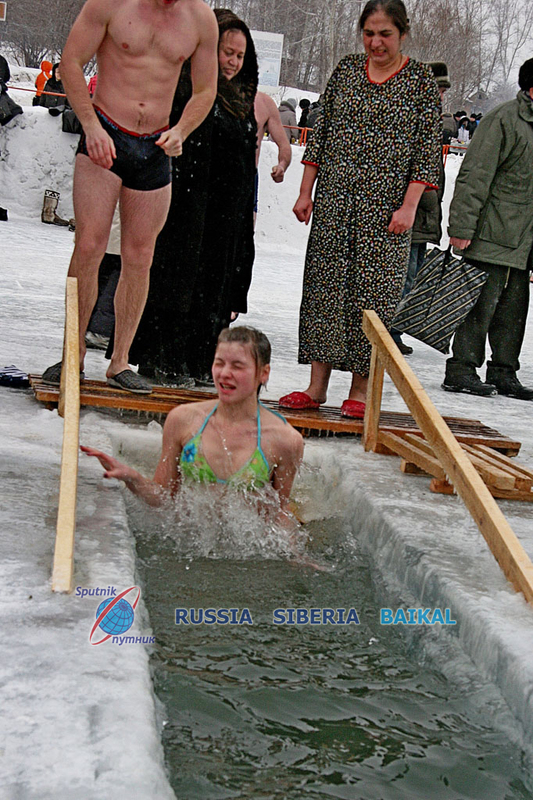 Baptism of the Lord ( = “Kreshenie Gospodne” in Russian) is celebrated on January 19 on the Gregorian calendar. The baptism of Jesus in the Jordan River by St. John the Baptist marked one of only two occasions when all three Persons of the Trinity manifested themselves simultaneously to humanity: God the Father by speaking through the clouds, God the Son being baptized in the river, and God the Holy Spirit in the shape of a dove descending from heaven (the other occasion was the Transfiguration on Mount Tabor). Thus the holy day is considered to be a Trinitarian feast. 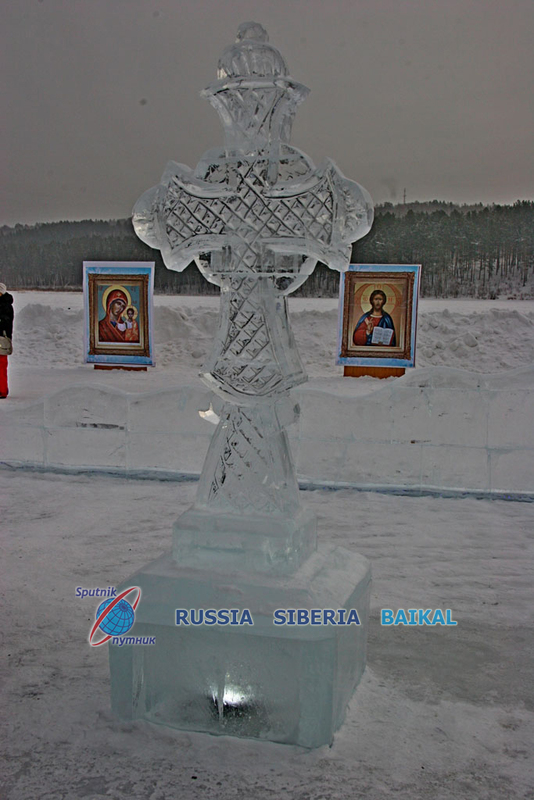 This holiday in Russia is not just a beautiful and mysterious rite – it’s a real Sacrament, which gives spiritual strength to a human being and connects a person to the God. There’s a special divine service in the church on this day. 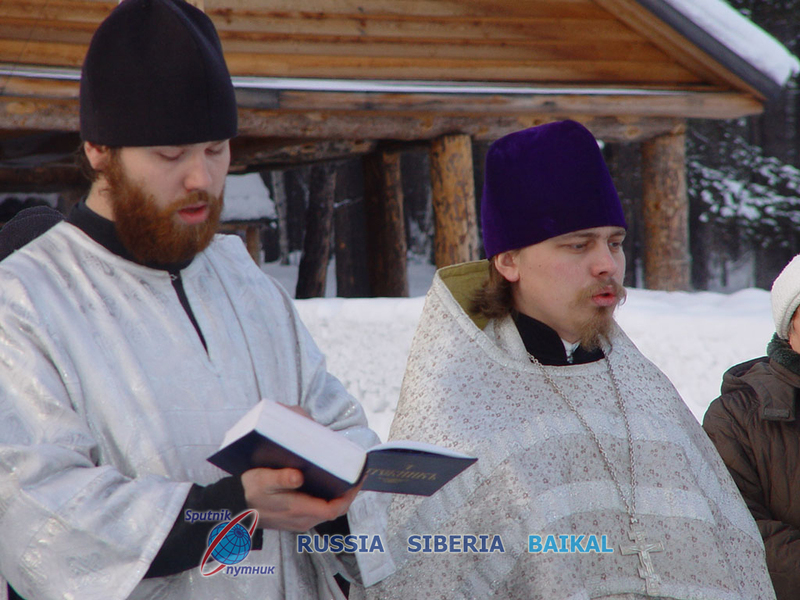 After the Liturgy the priest performs the Great Blessing of Waters. The blessing is normally done twice: once on the Eve of the Feast—usually at a Baptismal font inside the church—and then again on the day of the feast, outdoors at a body of water. 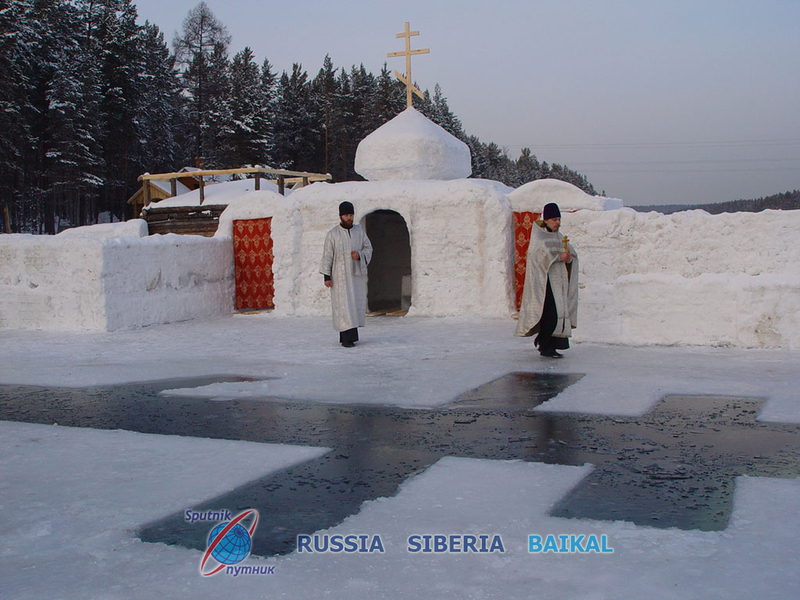 In Siberia, where the winters are severe, a hole in a cross-shape is cut in the ice so that the waters may be blessed. Blessed water is taken home by the faithful, and used with prayer as a blessing. People not only bless themselves and their homes by sprinkling with Theophany Water, but also drink it. It is scientifically proved that the Blessed Water differs from any other water on the chemical and structural level. 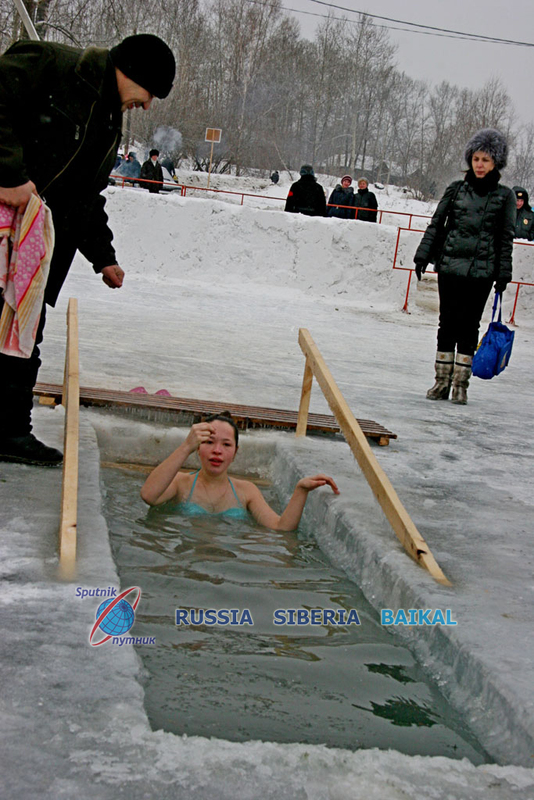 After the water is blessed Russians often bathe in this freezing and holy water. 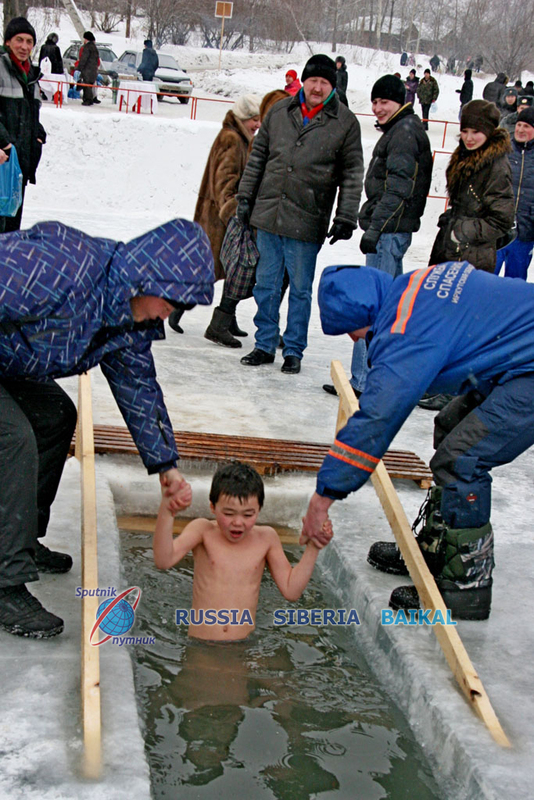 Participants in the ritual dip themselves three times under the water, honoring the Holy Trinity, to symbolically wash away their sins from the past year, and to experience a sense of spiritual rebirth. 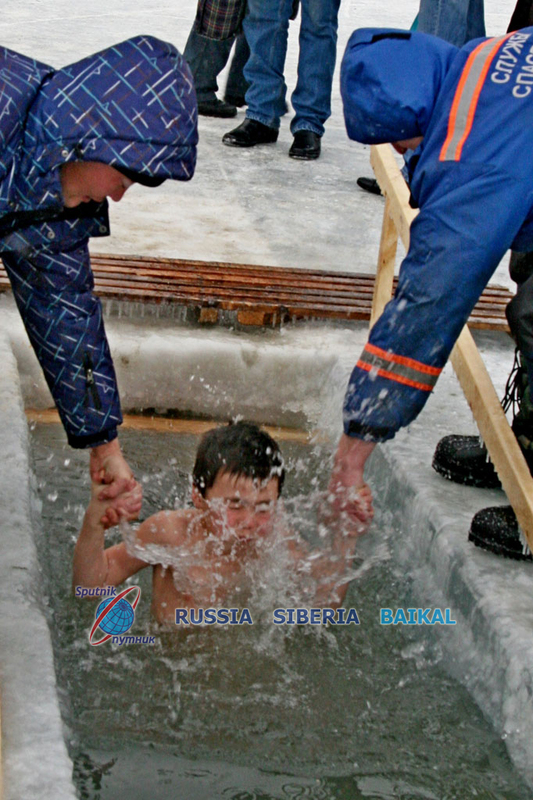 Orthodox priests are on hand to bless the water, and rescuers are on hand to monitor the safety of the swimmers in the ice-cold water.